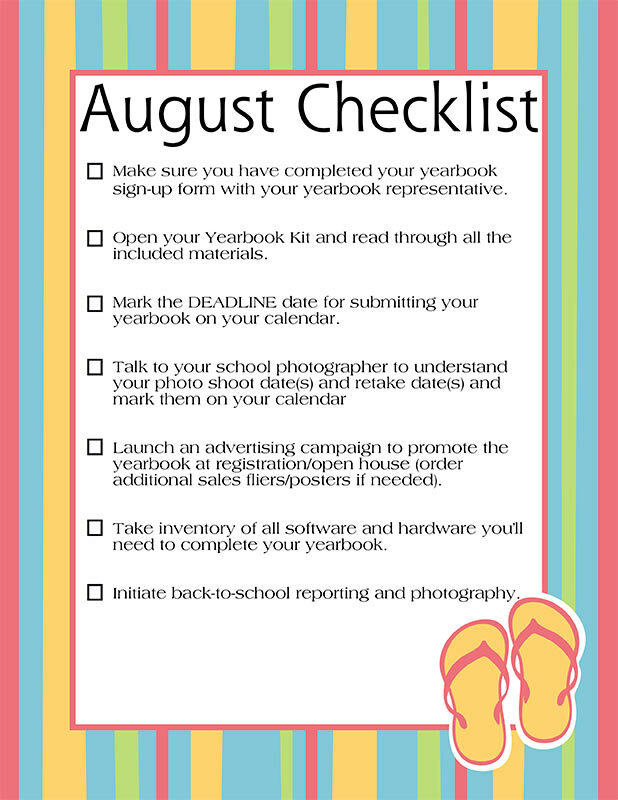 Here's your May checklist of items to do for your yearbook to keep you on track as you finish the school year! Just click on the link to download the checklist to have on hand. 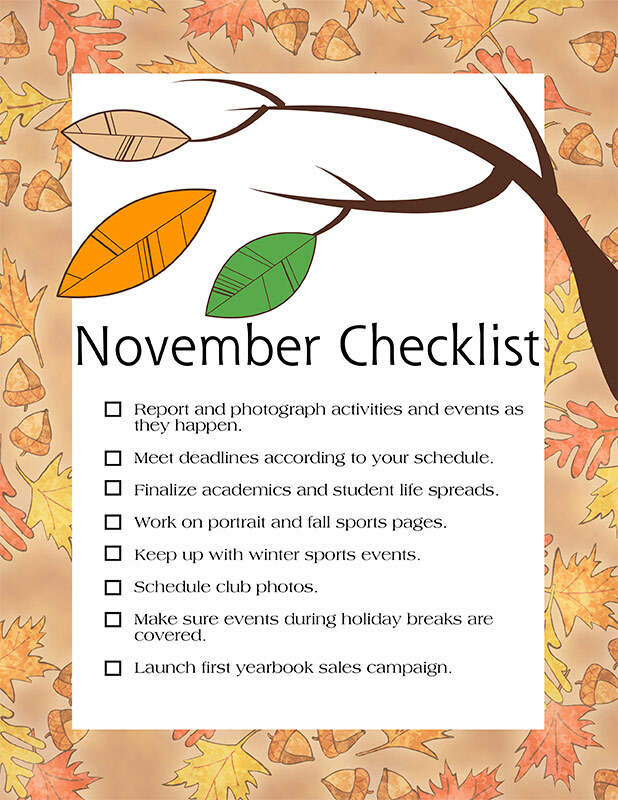 Here's your March checklist of items to do for your yearbook to keep you on track this year! 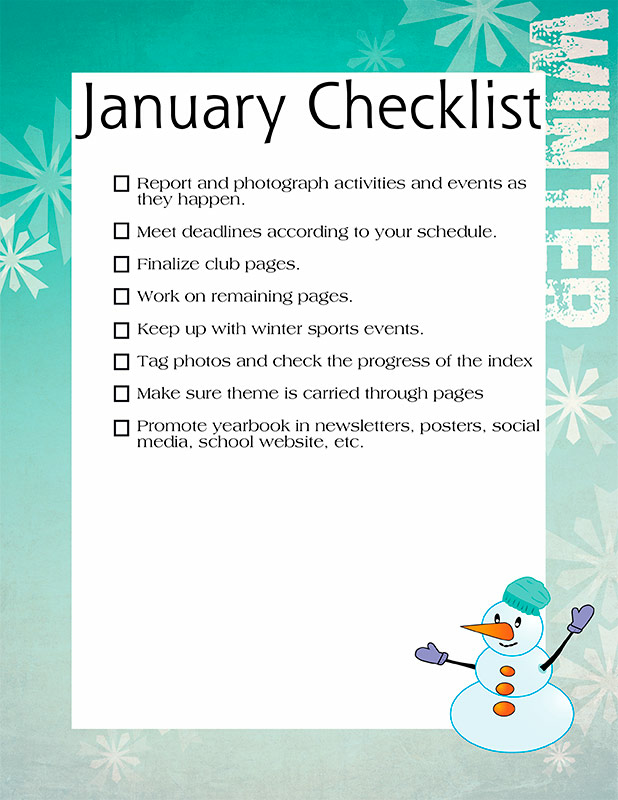 Just click on the link to download the checklist to have on hand. 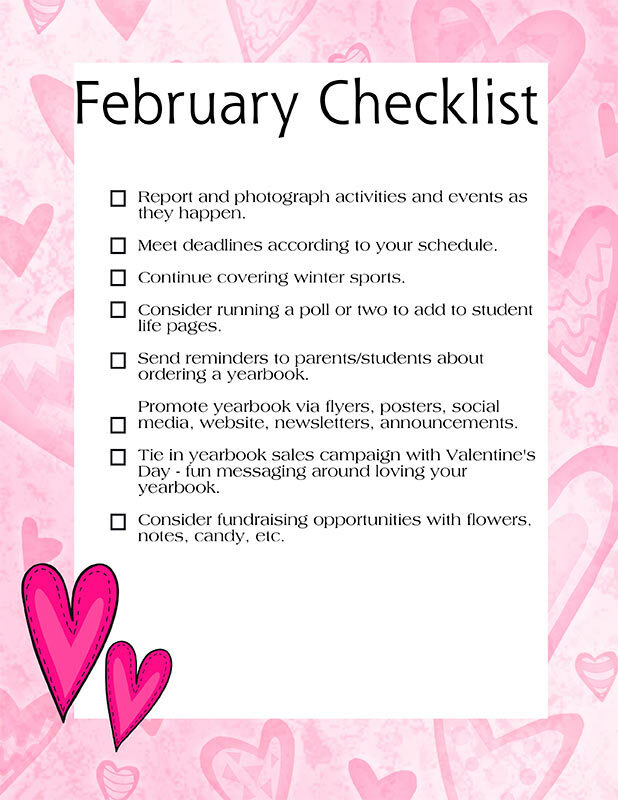 Here's your February checklist of items to do for your yearbook to keep you on track this year!